Rupert Murdoch's 21st Century Fox made an offer to buy Time Warner in June, and Time Warner gave a firm answer: No. 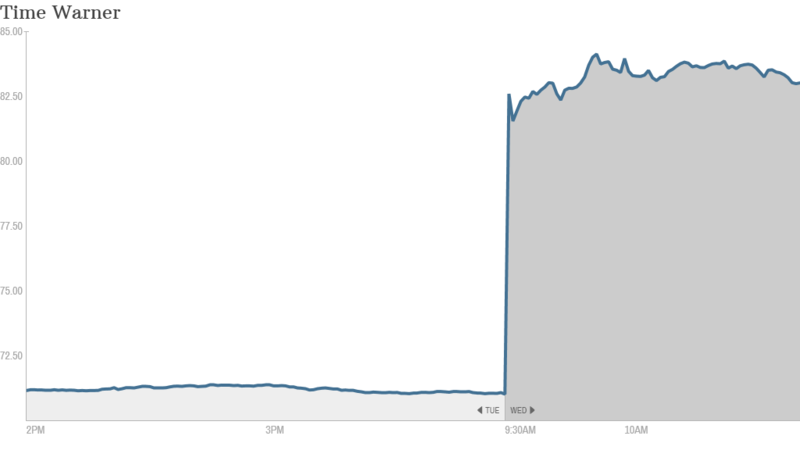 Even so, news of the proposal on Wednesday sent the stock of Time Warner soaring 15%. Such a deal would be massive: the initial bid was $80 billion. That would value Time Warner (TWX) at $85 a share, 20% higher than Time Warner has been trading. Both sides confirmed Wednesday that there was a bid and said that there are no current talks. Still, media experts said Murdoch won't give up easily. 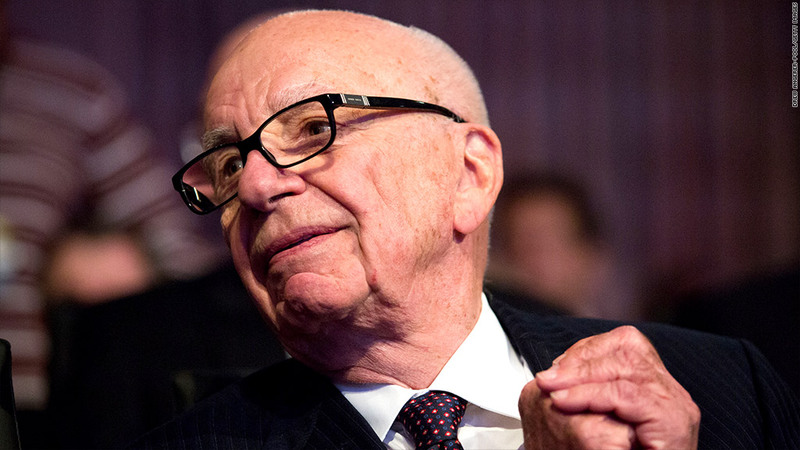 "Rupert Murdoch is not going away," said Porter Bibb, managing partner at Mediatech Capital Partners. "He's going to keep upping the price until he gets it." A source close to Time Warner said that it is prepared to fight to stay independent and that Murdoch would have to launch a "hostile" bid to succeed. Time Warner said in a statement that the company is "confident that continuing to execute its strategic plan will create significantly more value" for shareholders than any proposal Fox could offer. Time Warner owns CNN and CNNMoney. What would Fox be buying? Time Warner has cable networks such as TBS, TNT and premium network HBO, as well as movie studio Warner Bros.
A deal would combine Time Warner's media brands with the Fox broadcast network, the 21st Century Fox movie studio, and entertainment cable networks such as FX as well as Fox News and Fox Sports 1. It would also give Fox access to a number of sports rights deals that Time Warner now holds with the NBA, the NCAA basketball tournament and Major League Baseball. Time Warner also owns CNN, but under terms of the bid, Fox would sell the news network to sidestep regulatory concerns. Sources told CNNMoney that ABC and ESPN owner Walt Disney Co. (DIS) and CBS (CBS) could be possible suitors for CNN. Time Warner said even without CNN, government regulators would have issues with the merger and putting two giant movie studios under the same corporate roof. Such a big media deal could mean higher cable bills for consumers. Combining the cable networks would give Fox greater leverage in negotiations with cable operators over the fees they pay to air the company's programming. There are several mergers among cable and satellite television operators which are now in the works, such as the deal between Comcast and Time Warner Cable as well as between DirectTV and AT&T. Media companies are trying to get bigger as well in response. -- CNN's Cristina Alesci contributed to this report.